Update: We've added the Google IO livestream video YouTube video below. You can start watching the keynote online right now. The Google IO 2018 livestream video you're looking for starts today, May 8, in sunny Mountain View, California in Google's backyard at the Shoreline Amphitheatre. It's a big venue for such a big event. The official Google IO 2018 keynote start time is at 10am PT / 1pm ET / 6pm GMT on Tuesday. That's 3am AEST on Wednesday, May 9. The keynote pre-shown will begin 40 minutes ahead of time, according to Google's official schedule. Google CEO Sundar Pichai will lead the Day 1 keynote, and the event is sure to be packed with exciting announcements on everything from AI and Google Assistant to Google Home and the Google Daydream virtual reality platform. 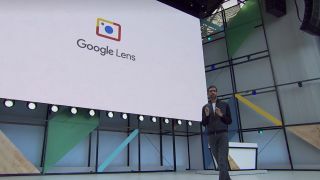 One of the most intriguing announcements from last year's Google IO was Google Lens, an augmented reality-powered app that can do everything from identify landmarks in your photos to auto-log you into a Wi-Fi router by scanning a code. Expect more futuristic reveals like this during the keynote today, including the much-hyped reveal of Android P Developer Preview 2. That's going to be a major highlight of the Google IO livestream. In addition to tuning into the livestream, be sure to check out our Google IO 2018 live blog for up-to-the-minute news and insight straight from the keynote floor. We're excited for this year's Google IO – we hope you are, too! There are a couple of ways to watch the Google IO 2018 keynote livestream, and thankfully Google doesn't require you to use Chrome, like Apple does with Safari. You can watch the keynote on the Google IO website, which is currently running a countdown clock to big event right now. Google will also livestream key developer sessions from the conference, so check back in with that link as the conference continues through May 10. Stay tuned as we bring you all the latest news and in-depth analysis from this year's Google IO! Google Daydream View (2017) review: is this the answer to mobile VR?